Alluvial forest with Alnus glutinosa and Fraxinus excelsior (Alno-padnion, Alnion incanae, Salicion albae (91E0) is a priority Annex I habitat of the Habitats Directive 92/43/EEC. This habitat is a key conservation interest of the Lower River Shannon candidate Special Area of Conservation (cSAC). Alluvial woodlands are dynamic and successional woods dominated by alder Alnus glutinosa and willow Salix spp. which occur on flood plains in a range of situations from islands and braiding in river channels to low-lying wetlands alongside the river corridors. The principal community which occurs within the Lower River Shannon cSAC is gallery woodland (Salicion albae) (classified as WN5 in the Guide to the Habitats of Ireland by Fossitt (2000)). This example is dominated by willows forming small, narrow stands on the river banks and islands where the trees are subject to frequent flooding and/or have their roots submerged permanently in water. 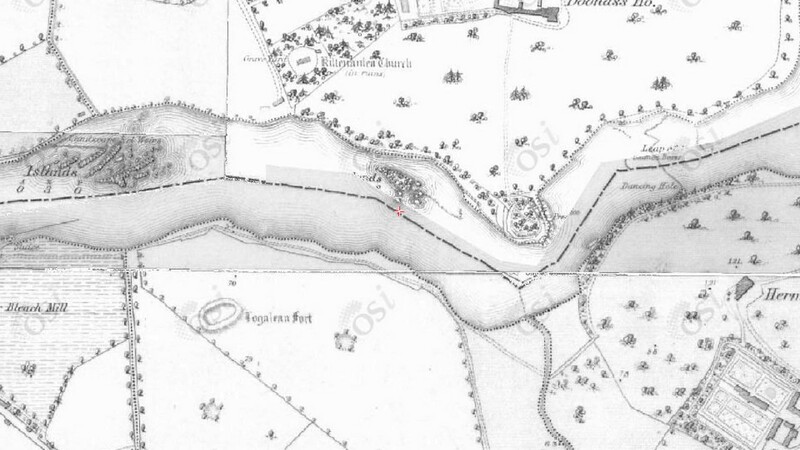 This example occurs on the Old River Shannon at Corbally, Plassey, and Castleconnell, and also in the impounded section of river downstream of Killlaloe. Here are is a selection of photos taken within the alluvial woodland along the Old River Shannon, and this habitat broadly corresponds to the priority EU Annex I habitat 91EO Alluvial woodland. 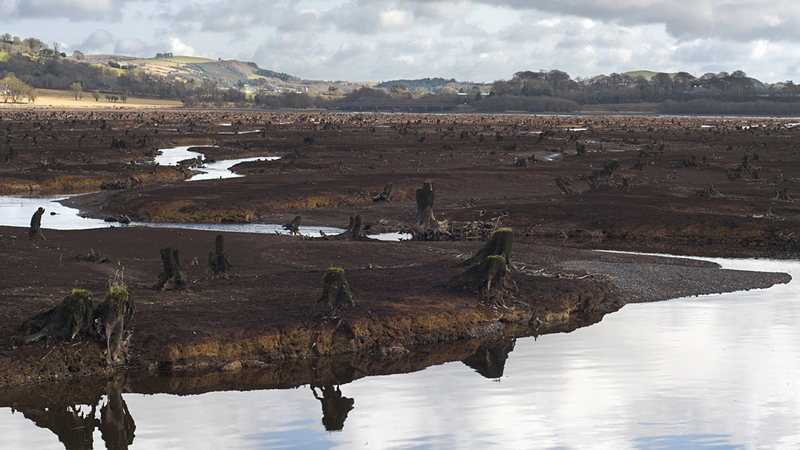 The area of alluvial woodland along the Old River Shannon has increased as a result of encroachment following reduction of flows in the river following the Shannon hydroelectric scheme. It is generally relatively young woodland with associated reduced biodiversity. The alluvial woodland habitat on the Lower River Shannon has also been invaded by a number of non-native invasive plant species, most notably Himalayan balsam Impatiens glandulifera, reducing its ecological status. It is possible that the reduced and unvaried compensation flow (10 cumecs) provided by the ESB for the Old River Shannon has favoured the establishment of non-native plant species. The alluvial woodland (91E0) habitat on the Lower Shannon also occurs as wet willow-alder-ash woodland (Fossitt Code WN6) in valleys of the upper reaches of some of the tributaries of the Lower Shannon (i.e. Mulkear catchment). In the photos below we show a photo of the Lower River Shannon at Doonass prior to the Shannon scheme, and compare this with a photo taken from the same area recently (2010). The impact of the reduced post-Shannon scheme compensation flow is apparent and, in particular, the extensive encroachment of alluvial woodland into the former river corridor. In the plates below, the historical map of this stretch of river from the mid-1800’s is compared with modern aerial photography. The historical map shows the river prior to the development of the river and the diversion, at Parteen Regulating Weir, of most of the flows in the Lower River Shannon down to headrace canal to Ardnacrusha hydroelectric station. Since the Shannon scheme, the Old River Shannon receives a compensation flow of only 10 cumecs – equivalent to a 95%ile drought flow on the river prior to the construction of Shannon scheme. In the modern aerial photograph we see a shrunken and highly modified river channel. The impact of the reduced post-Shannon scheme flows is apparent, along with the instream modifications that were used by the ESB to create new angling pools. It is clear that prior to the Shannon scheme that this stretch of the river was much larger and had significantly less alluvial woodland than the much reduced and encroached Old River Shannon of today. We are campaigning for the provision of increased and variable flows in the Old River Shannon to be delivered within the context of a sustainable management plan for the river and cSAC. We believe that the fisheries modifications placed into the river by the ESB should be removed and/or realigned and this, coupled with increased and varied flows, would allow the river to restored to a more natural state and provide a check on the current levels of woodland encroachment – which is neither natural or sustainable. Eventually the ongoing encroachment of this woodland will result in the requirement for major clearance works to restore flood conveyance capacity. 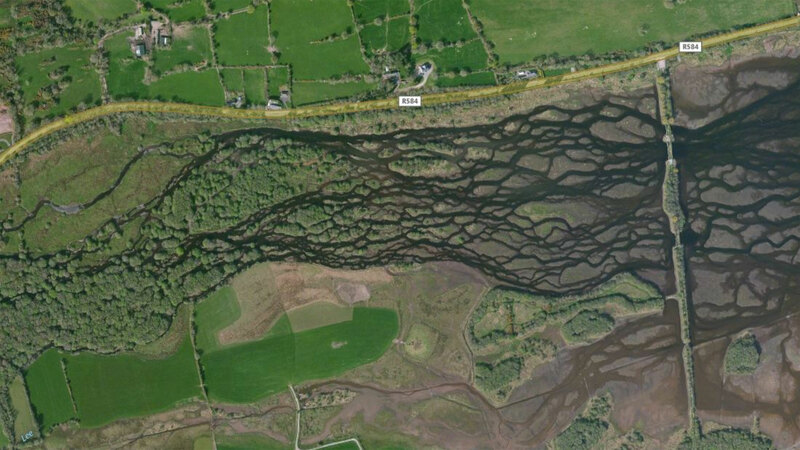 In 2008 the OPW cleared a 40m wide x 500m band of the alluvial forest and dredged a new flood channel in response to flooding of adjoining areas of the Old River Shannon at Clonlara. It is clear that major interventions like this will be required in the future if nothing is done, and improving the natural maintenance processes of the river would be a more preferable and sustainable approach. It is also clear that increased and more varied flows would restore a more naturalised hydrograph in the river and this would have the potential to improve the quality and biodiversity of the remaining alluvial forest by introducing regular hydrological disturbance, and would also prevent further enroachment. The following photos show the OPW works Old River Shannon upstream of the University of Limerick in 2008, when a 40m x 500m track of alluvial forest was cleared and the bed was dug and lower by up to 1m. Although one of the “compensatory” mitigation measures for these works was than an equivalent number of native trees that were removed were to be replanted in a non-forested area upstream, this replanting was never completed. All timber cut during these works was taken away by staff for use as their own firewood – even though a proposed mitigation measure had been to place the dead wood in the remaining forest. The OPW have also recently cleared alluvial woodland on the River Shannon at Meelick (within the Shannon Callows SAC) and also along the River Lee uptream of the Geragh at Inchigeelgh. It is clearly preferable to seek to adopt sustainable water management protocols on the Old River Shannon to indirectly manage the alluvial woodland, than face the prospect of an OPW “drainage” scheme in the future. As with the River Fergus in Ennis, the SAC designation will not stop these types of invasive works in Ireland. Fisheries modifications on the Old River Shannon – time to get them removed? 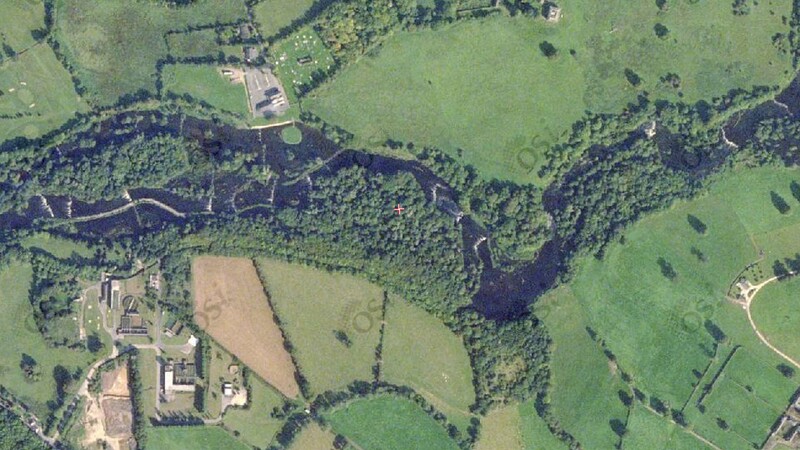 No discussion of alluvial forest in Ireland should neglect to mention the Gearagh in the River Lee catchment. The Gearagh was one of the most important of Ireland’s ancient woodlands, and the only extensive alluvial forest in found Europe west of the Rhine. However in 1954/55 extensive clear felling was undertaken and the eastern side of the forest was flooded by the ESB. This was done to facilitate the installation of the upper part of the Lee hydro-electric scheme. Around 60% of the former woodland was lost, and now forms part of Carriadrohid Reservoir. The destruction of the Gerargh, or ‘An Ghaoraidh’ meaning “wooded river”, was recently highlighted in a film documentary produced by MP2 Films. For further information about the Geargh please see this PhD thesis by Aileen Cudmore from the University College Cork entitled ‘The impacts of past land-use on the ecology of an ancient woodland in south-west Ireland‘. The alluvial woodland which remains today in the Gearagh today is still of unique scientific interest, and is a designated Special Area of Conservation, a Ramsar site and a Biogenetic Reserve. Despite the fact that most of original ancient forest was destroyed by the ESB, the remnants still actually represent the only extensive alluvial forest west of the Rhine in Europe. If the ESB lowered the operational water levels of Carrigadrohid dam, much of the alluvial forest could be expected to regenerate and options like this need to be explored though a sustainable management plan for this unique site. During low water levels many of the stumps of the old forest are visible at the eastern end of the reservoir, and by balancing biodiversity interests with hydroelectric generation water levels could be kept like this to allow the restoration of much of this unique site. It is clear that there is much scope for sustainable management of alluvial forests on Ireland’s hydro rivers. 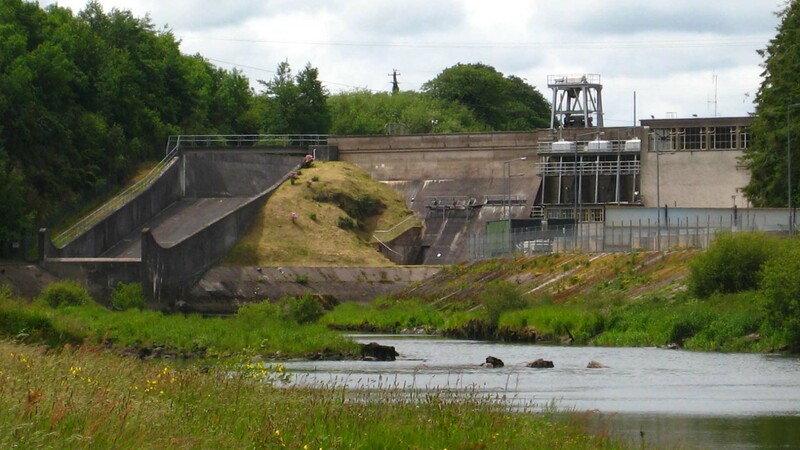 ESB’s Carrigadrohid dam is the upper dam on the River Lee. Iniscarra dam is located downstream from here and both dams flooded the Lee Valley in the 1950s. Aerial photo of the Gearagh, which was flooded by the construction of Carrigadrohid Reservoir by the ESB in the 1950’s. The western end of Carrigadrohid reservoir showing the tree trunks of the ancient Gearagh alluvial forest which was felled and flooded by the ESB in the 1950s. It is amazing how mans intervention no matter how well meaning at the time ends up detrimental to the natural environment. Surely on the face of it there is a very good case to be made the the NWPS (Ireland) are in serious breach of the Habitats Directive by what can only be described as the wholesale neglect of the Lower Shannon Special Area of Conservation. Even I as a casual observer can see what are now becoming rapid changes on the river banks within the City. Surely if “Conservation” is to mean anything the restoration of the Riverbed to some point whether before the Power Station or some date since, should be the aim of the NWPS not withstanding the difficulties posed by the Power Station at Ardnacrusha and even the Marina at the Custom House. While I am not in anyway knowledgeable on the Latin names of the trees of which you speak to me it is mainly “Sally” or other species not specimen trees. I cannot for the life of me see how “An Taisce” can stand idly by as the eighteenth century towpath from Plassey to Limerick is being destroyed by the overgrowth of these trees. I note from the newspapers the there is a new Power Station being built at Kilalla in Co. Mayo to generate electricity by “Biomass” and for the first few years at least they will have to IMPORT the Sally to generate this electricity. Bord na Mona are constructing a new factory at Foynes to manufacture “Biomass” probably importing Sally. There is at present at Edenderry in Co Offaly on the canal system a power station generating electricity by burning “Biomass” the ubiquitous Sally. and all off-cuts from saw mills etc. I have no doubt that there will be the cries of “Economy of Scale” and the Economics of harvesting probably such small quantities of Sally from the riverbanks locally. However if I might relate a little tale of a recent experience of mine. i went to my local supermarket recently and on my way i bought petrol at €1.43 per Litre at the supermarket I purchased the cheapest “Firelog” available weighing 1 Kilo for €1.87 and to my amazement i found what I had bought was a Kilo of “Sally” probably dosed with some obnoxious concoction of a by product from the petro chemical industry to give my “Firelog” a nice cheery glow. Given that one kilo is approximately the same weight as a liter of liquid the Kilo of Sally was much more expensive than petrol. Take into account for petrol the cost, of exploration for the oil, the cost of drilling for drilling for that oil, the cost of extraction of that oil, the cost of the massive fleet of supertankers to bring the oil to our shore and of course the cost of refining that oil. Then you have €0.59 excise duty and 23 % VAT which brings it to the €1.43 per liter. If your organisation were to bring your case to Europe that the NWPS (Ireland) were in breach of the Habitats Directive and succeed the fines that would be levied on Ireland would probably be in the hundreds of millions. As these fines would be recurring it would cost Ireland massively to maintain the status quo on what basically would be an asset however small.